Lithium Australia this week began drilling the first hole of a 3,000-metre RC program at the Agua Fria prospect, part of their 49%-owned Electra joint venture in Mexico. The aggressively expanding Perth explorer and developer of Lithium extraction technologies and their Canadian partner, Alix Resources, are targeting a large scale Lithium clay deposit in Mexico. Agua Fria is adjacent and along strike from ground held by Canada’s Bacanora Minerals, which includes the Sonora deposit, the world’s largest Lithium clay resource. Bacanora made world headlines in 2015 when it signed a major offtake agreement with electric car manufacturer Tesla. Lithium Australia recently increased their stake in Electra from 25% to 49% under the earn-in agreement with Alix. 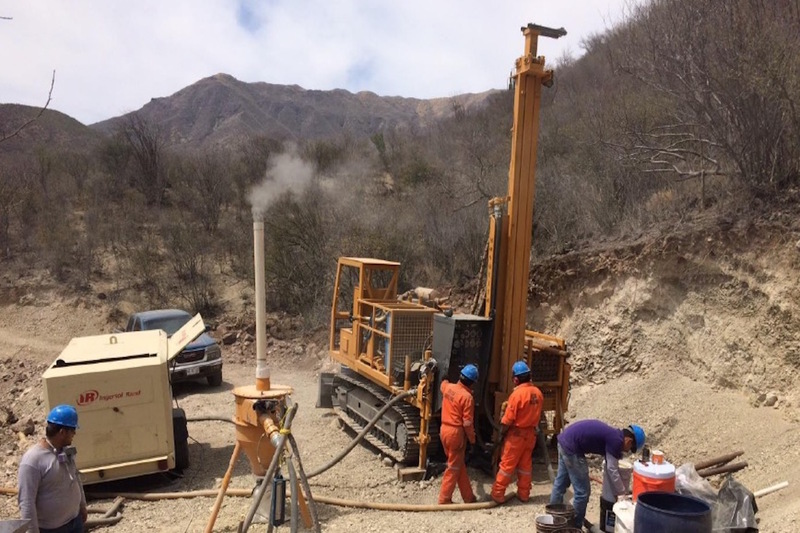 The planned duration of the drilling campaign is 44 days with assays conducted in Mexico and subject to quality control and audit procedures developed jointly by Lithium Australia and Alix. Metallurgical evaluation will be undertaken by Kappes Cassiday and Associates, in Reno, Nevada. The target horizon is dominated by clay bearing volcanogenic sediments which are part of the geological sequences that include the giant Sonora deposit. The Agua Fria target has been traced for approximately 5km along strike, and has exposed widths of over 800 metres. The apparent thickness of the target is 20-30 metres which is dominated by layered sedimentary material. Numerous surface samples have returned grades exceeding 1,000 parts per million Lithium, which rank at the high end of the scale for Lithium clays in the region. Electra is just one project in a bulging portfolio of potential feedstock sources for Lithium Australia as it continues to focus on its revolutionary Lithium processing technology known as Sileach.